Have a look at this cool, urban, sporty outfit idea for Summer months. 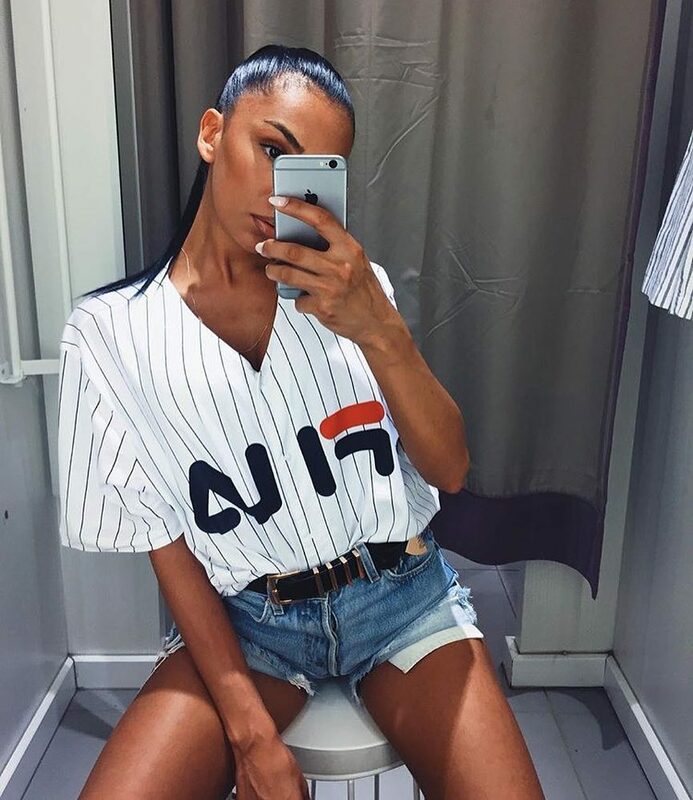 We see a white pinstripe V-neck buttoned shirt in oversized fit tucked in blue denim shorts. A fabulous combination for young ladies who want to express their style.